At Saint Mary School, our mission is to assist parents in teaching their children how to live the Gospel message of Jesus Christ and to prepare them for future education by teaching essential skills. Our school environment fosters the development of spiritual values from a Catholic perspective through prayer, worship, instruction, example and service. Our goal is to offer an academic program that develops the intellectual, physical, social and emotional nature of each child. 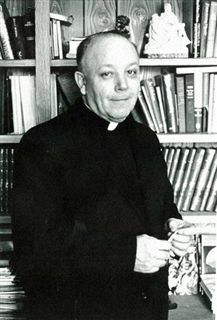 Known as the “Saints”, Saint Mary School was founded by our late pastor, Reverend Monsignor Robert T. Bulman. In July of 1952. Groundbreaking ceremonies took place for the original eight classroom school, and upon its completion in June of 1953, the school was dedicated by the Most Reverend George W. Ahr, Bishop of Trenton. The school officially opened in September of 1953 and was staffed by the Sisters of Saint Francis of Christian Charity and Penance and three lay teachers. Under the direction of our first principal Mother Euphemia Nash, Saint Mary School accepted two hundred eighty-five students in grades one through six that year. "Watching young people grow into adults is very gratifying indeed. Many of our students have grown into doctors, lawyers, accountants and educators, as well as priests and nuns. I like to think the education they received here was a stepping stone for their success."